“It’s scum of the Earth stuff.” On last night’s Late Show with Stephen Colbert, John Stamos, Bob Saget, and Dave Coulier got together to preview their new Full House spin-off, a gritty cop procedural called Full House Nights. Of course, Full House Nights isn’t real. 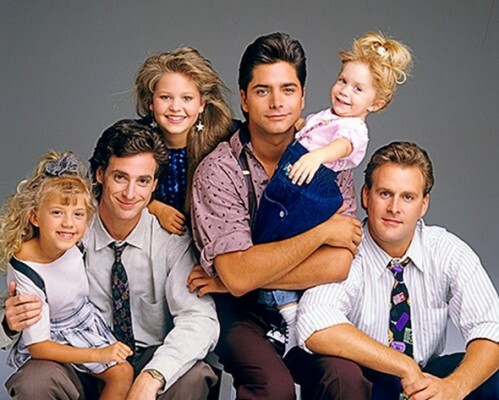 But the actual Full House reboot, Fuller House, just debuted on Netflix last week. Like in Full House, Full House Nights features three adult men working together to solve problems. Only this time, it’s at night, the kids have gone to bed, and the three guys are detectives out to fix the rampant crime of San Francisco. In the sketch, Colbert even guest stars as a Russian goon named Demetri. Maybe like Fuller House, Full House: Nights will also be renewed. What do you think? Have you started watching Fuller House on Netflix? Would you watch a full season of Full House Nights? More about: CBS TV shows: canceled or renewed?, Full House, Full House: canceled or renewed?, Fuller House, Fuller House: canceled or renewed?, Netflix TV shows: canceled or renewed?, The Late Show with Stephen Colbert, The Late Show with Stephen Colbert: canceled or renewed?